There are very strict rules on the roads in the UK and they are designed to protect all those who use them, not just drivers. A recent study that has been put together by the AA has shown that when you are fined for a motoring offence, this is only the beginning of the problems you’re going to face. The research by the association has shown that because the motoring offence goes on your record, your insurance is going to be significantly more expensive when it comes up for renewal. In fact, the research showed that the increased cost of insurance can be up to 400 percent of the original fine. 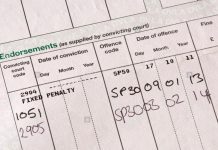 This is for the first motoring offence that someone has committed, which is typically charged at £60. Therefore the AA have estimated that the cost of insurance increases is going to be around £240. The company said that this will be spread over three years as this is how long the motoring offence will factor into your insurance for. There is another option however, that you can use to reduce your risk of a more expensive premium. Instead of paying the fine, you often have the option of taking a motoring awareness course. This means that you don’t just skip the initial fine, but you’ll also be able to keep a clean driving record, and keep the cost of the insurance down. It has also recently been announced that the amount people are being fined for using a phone while driving is going to be increased. 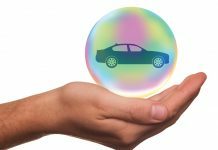 The cost of insurance here is expected to be even greater as some companies will no longer insure you if you have been caught for this offence.